Who said work and play don’t mix? Fixfast design and manufacture specialist fasteners and components for walls and roofs with Maximum reliability and Minimum fuss. 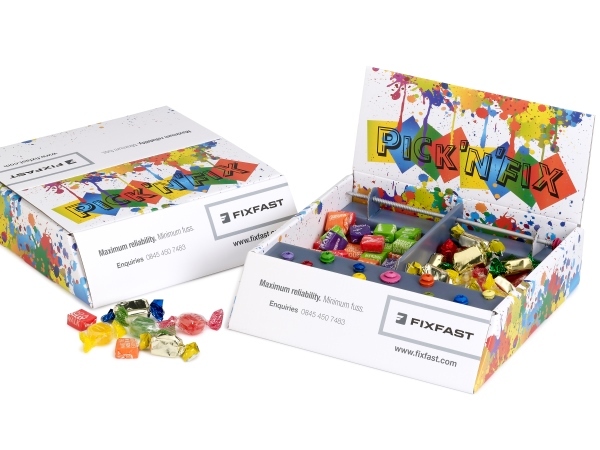 The fixings sample pack with a play on Pick ‘N’ Mix was designed to launch Fixfast’s innovative design of coloured fixings, sending a mix of coloured fixings and chews, for instantaneous impact with designers and architects specifing Fixfast. Sample screws were inserted across the front of the sample pack, and with a thread across the back of the pack you could easily try them out, whilst sharing the sweets that lay in two compartments in the centre of the pack. Built as a lasting reference point as a display box, with the option to close the pack and store on a shelf. The Pick ‘N’ Fix box made a big impact with our clients and prospective architects when it was first delivered and still gets mentioned from time to time! BoxcoUK are easy to deal with, and I have no hesitation in recommending them. 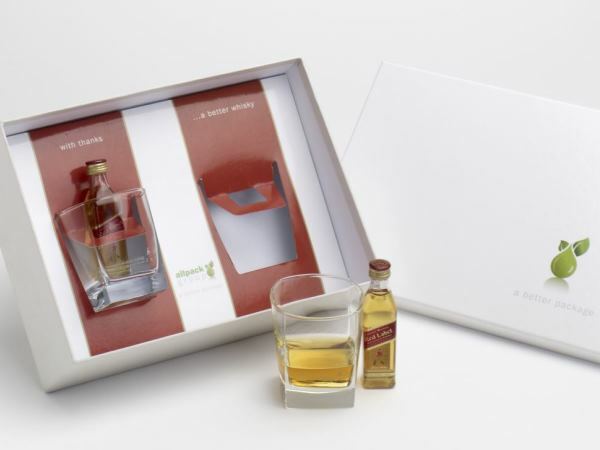 With a fun and memorable delivery, the sample box became a display box for Showrooms, ultimately extending the life of the marketing campaign. Also memorable is the dizzy feeling that came from inserting 5000 coloured fixings into the front panel! Do you miss the simple fun in life that came with Pick ‘N Mix? Call BoxcoUK on 020 3011 0211 or visit our Gallery for ideas. The all-over branded sweet box was used when Festool needed a giveaway for prospectives attending their UK Truck Tour. 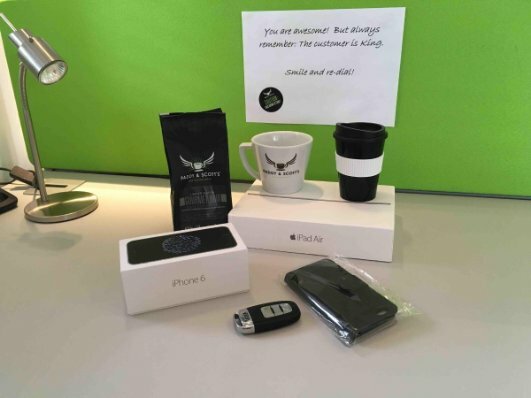 Marketing Executive, Naomi Collett comments that the pack was different from sweet bags they already used, and had a premium feel – perfectly aligned to their passion for power and quality. Festool’s passion for power tools has been in existence for more than 90 years, and today they share this fascination with users and fans. The high-quality brand of Festool power tools embraces new generation technology to make life easier for professional tradespeople – helping to achieve perfect results faster. 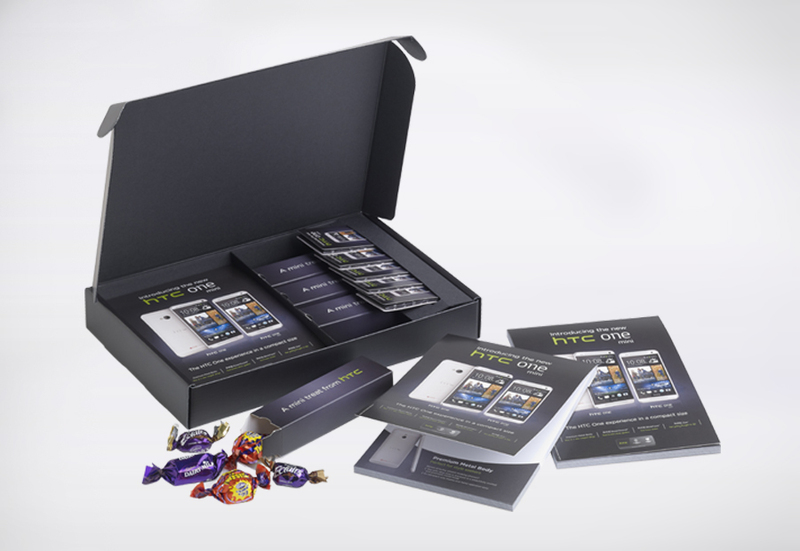 The sweet box was used primarily as a giveaway to people attending our UK Truck Tour. 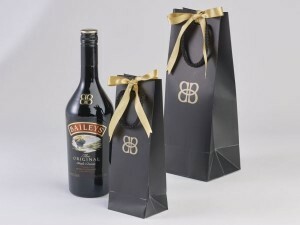 We already had standard sweet bags, so we liked that it was a little different, and had a premium feel. BoxcoUK was great to deal with, a hassle-free process, with clear communications. 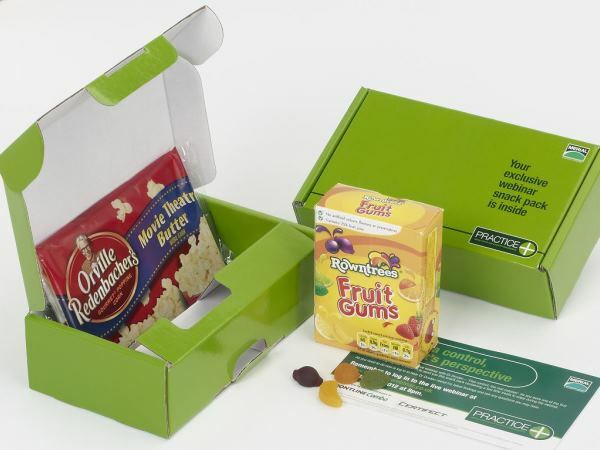 We selected the green and black sweet wrappers to suit Festool’s brand colours, a detail that we feel strengthened their brand identity, whilst delivering a box with maximum space for branding. Do you lack power and innovation, to gain sales from your marketing? This March, we’re supporting and promoting our clients to join in and support the Great Daffodil Appeal, so Marie Curie Nurses can care for more people living with a terminal illness. Watch our personalised video below! Music for Dreams is a music label with a sonic kaleidoscope of musical tones and colours. Since 2001 it has released more than 100 albums and sold over 2.5 million units, an exciting journey from label boss and founder Kenneth Bager’s feelings for all things good, manifested in the diverse release of the Music for Dreams label. 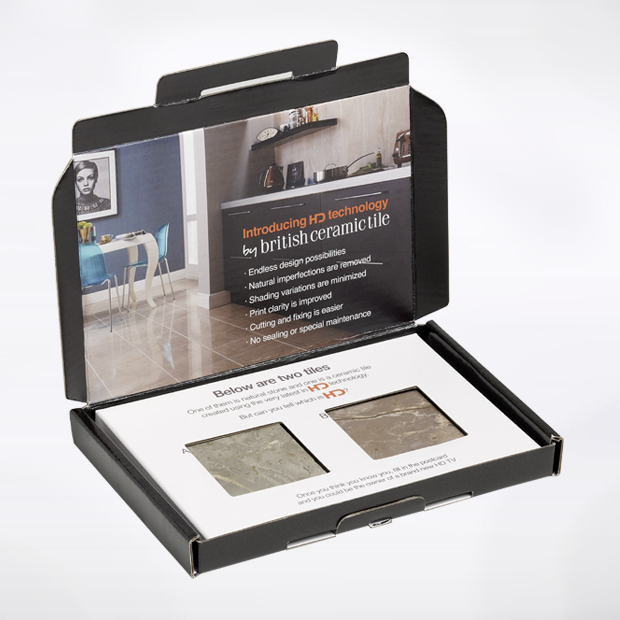 BoxcoUK helped to create and print the packaging. 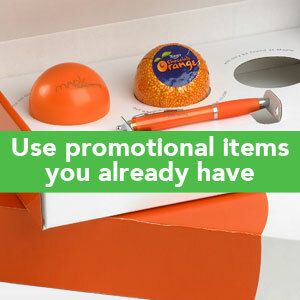 Get shirty with your promotions! Play the game… Can you spot? 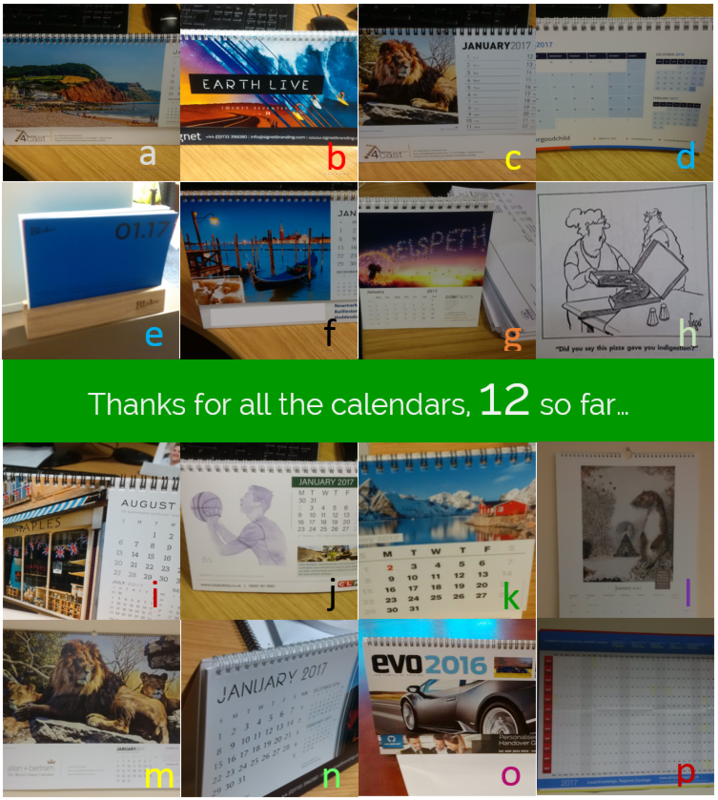 One that isn’t a calendar! Pack of Mcvities Hob Nob biscuits – FREE! 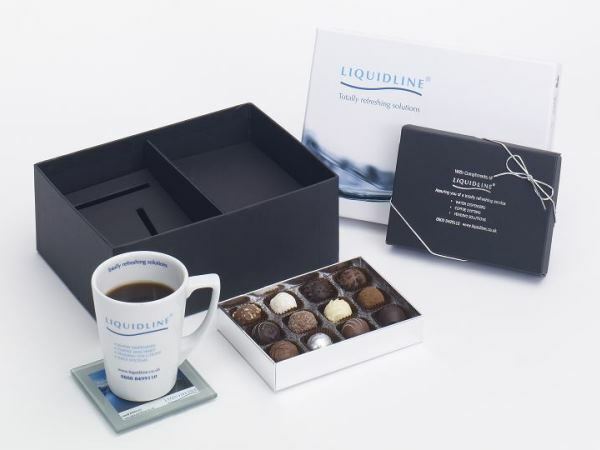 Give your customers something to nobble on while they drink in your catalogue… The Catalogue Launch pack has been designed for maximum thud-factor when it lands on the desk of the decision maker. When push comes to crunch, what do your customers like best? 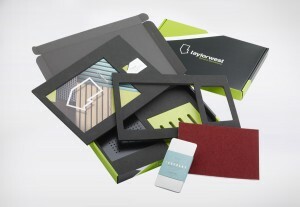 A proven design that works, ring to discuss your requirements 020 3011 0211. 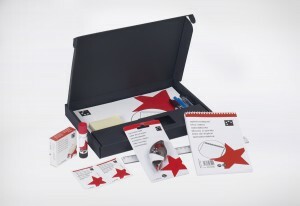 You choose a gift to make your customers happy, still the best idea? Yes. When you give a gift you normally try and think about your audience, and how they will feel about receiving your gift, whether it links, or doesn’t, too big, too small, too over-powering, too happy-clappy, what will it say about your company, all these thoughts are going on in your head, planning a campaign, particularly the end-of year “Thanks for your business” campaign. My thought process went something like this – Chocolate, gone in no time, (unlike the socks from last year) no one would be embarrased of me just eating a Freddie-head (rather than wearing the socks round the office for the afternoon, and on occasion later) and it wouldn’t be a useless toy, or synthetic fruit-flavoured like the others appeared to be. 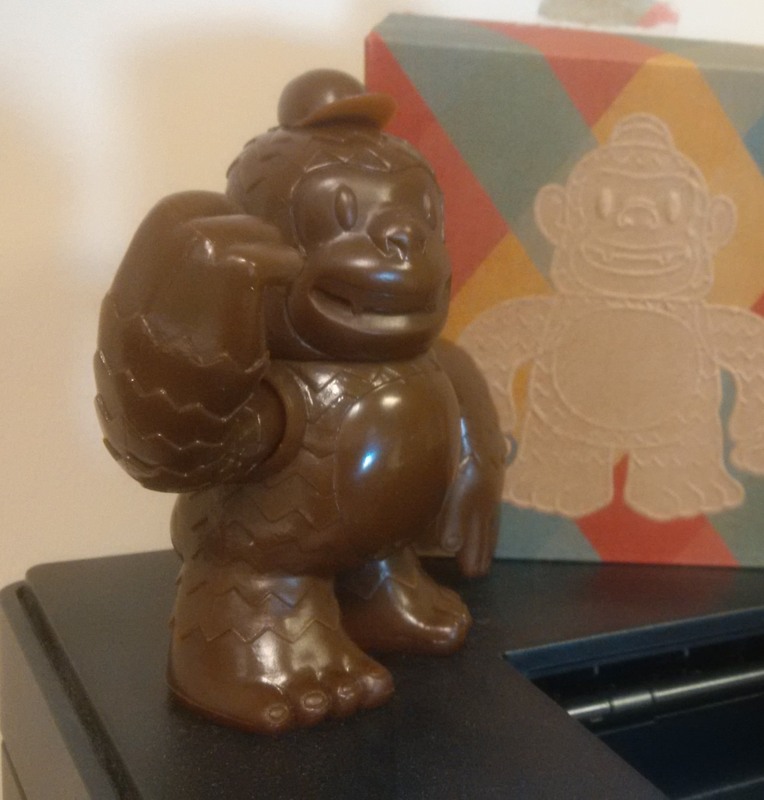 As with previous Mailchimp giveaways, you tend to forget you’ve made any decision over a gift, so when it finally arrives it is a surprise and a laugh. I said previous didn’t I? 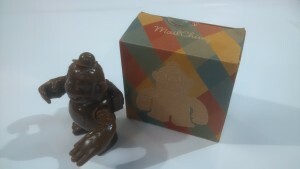 Me: Hello – I just received my Chocolate Freddie… looks like chocolate, smells like chocolate… Can I eat it??? Me: Sorely disappointed. I choose it thinking it would be half the size, and chocolate. JJ: Jeannette, I want you to know you’re not the first one to think that! I will definitely pass along that feedback, as I am a chocolate lover myself. Would you like some free MailChimp swag as a peace offering? Me: Yes please. Anything. Totally understand if you can’t send it to arrive right this second. JJ: https://link to swag-order options – hats and t’shirts but no sign of any chocolate Choose any one item on that page, and we’ll send it to you on the house! Was there anything else I can help you with today, Jeannette? JJ: Sorry, Jeannette! I know how crucial chocolate is–you can submit your feedback here, too, if you want! So I emailed my feedback… I can’t believe the diddle! All I wanted was a little nib of chocolate to nobble on, and instead I get this useless non-chocolate piece of plastic. 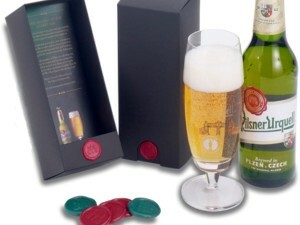 Asside, we decided that the outer packaging is very good, and very well produced. To finish off, and keep our relationship sweet this is how the online chat ended. JJ: If you need anything else, let me know. I hope you enjoy the rest of your day! Maybe I am thankless, but I take from this that, fluffy thoughts aside, better to choose a gift to keep your customers sweet than let them choose something useless without meaning to! 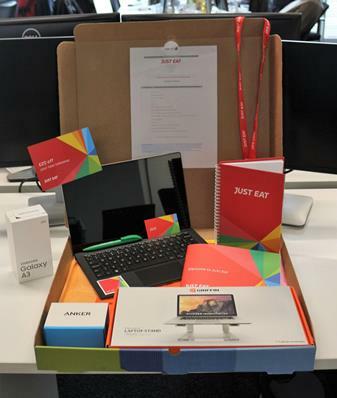 The promotional desk drop was designed to launch the new brand to all team members, with a carry handle to take home, complete with two bottles and a can of Carling to enjoy. 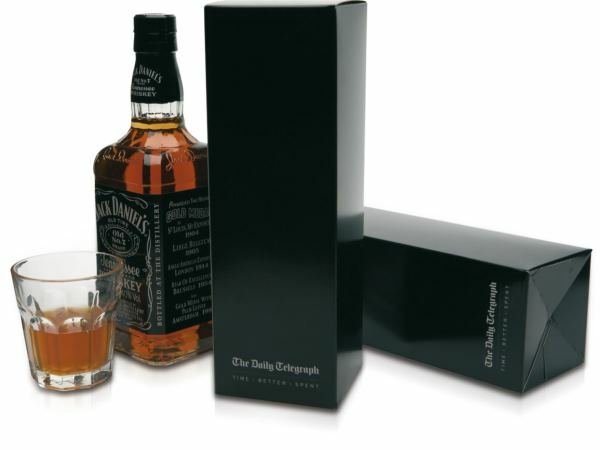 Focusing on drink, and making an impact with your target audience… do you want them to enjoy it, share it or blog it? 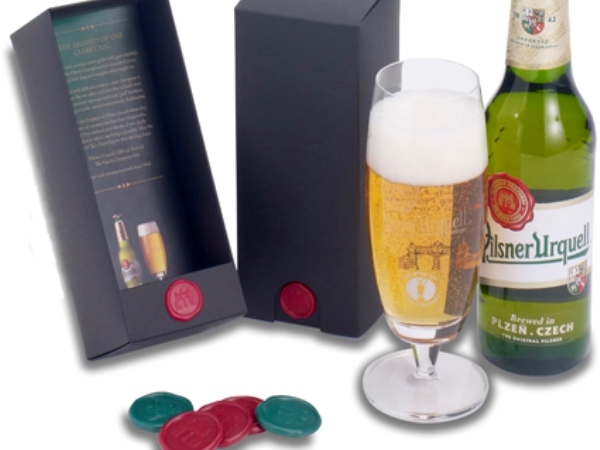 Created as a presentation pack for an individual beer glass, the Pilsner Urquell pack comes complete with a wax seal of authenticity. 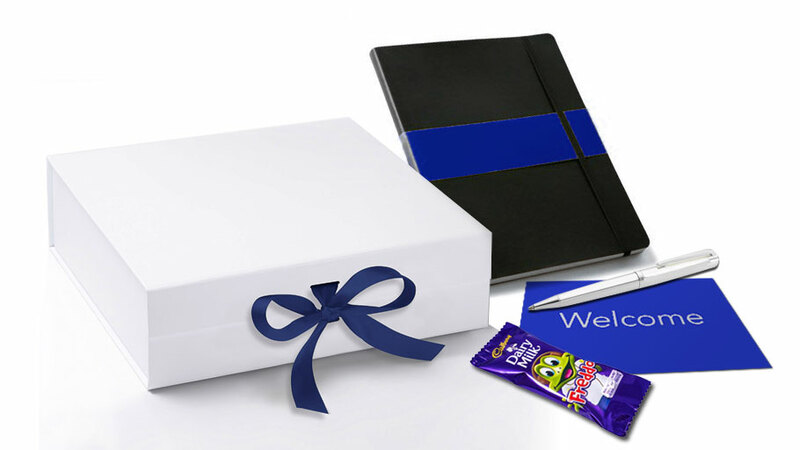 A bespoke end of year promotion for top customers, this unique pack was created to have real impact with a concise message ‘with thanks’. 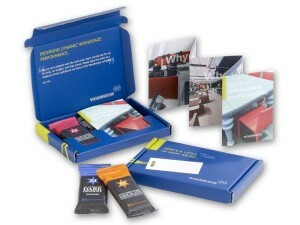 We worked with BoxcoUK on these Carling display boxes. They helped us with the construction of the boxes. 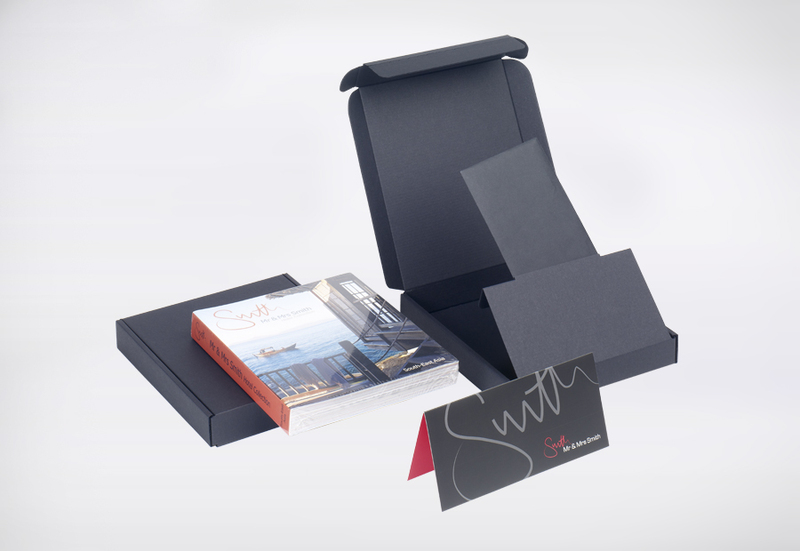 The boxes were done to a high standard and we were very happy with the result. For bespoke promotional marketing and training products that help you Win more… Call BoxcoUK on 020 3011 0211 or visit our Gallery for ideas. 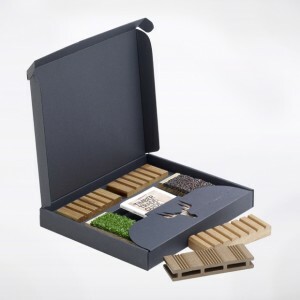 The LAX range we use is constructed using BlackCore board, which gives a very professional end product with white edges eliminated on the corners of your boxes. LAX looks particularly good when foil blocking or screen printing techniques are used to finish it off. Phonak’s mission is to reconnect it’s niche audience with the beauty of sound. From Sky-V hearing aids in 16 colours to wireless hearing aids controlled from your phone the innovation that Phonak provides, means sufferers now lead fuller lives. Yes – you heard right. Thanks to modern technology and innovation, high quality standards and industry-leading expertise, Phonak is able to continuously deliver the best solution for hearing. 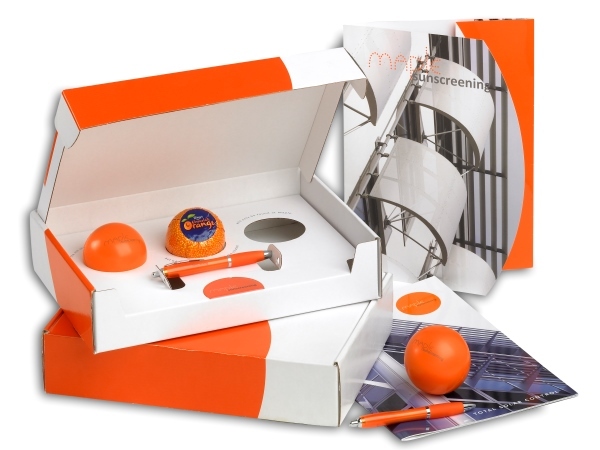 The presentation pack designed by BoxcoUK showcased the newest hearing solutions and had brochures, CD and mock framed certificate neatly placed inside. 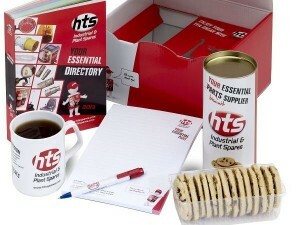 The pack was made for the Sales team to present at the coal-face, visiting clients. 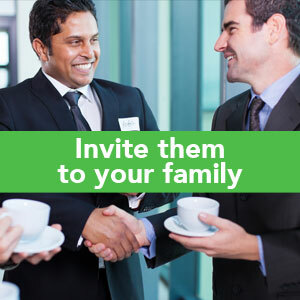 It provides something tangible for the Sales people to show and talk about as well as for the clients to engage with the brand and learn about Phonak and what they do for people with hearing difficulties. In today’s world it’s no longer about having a great product with excellent design, delivered on time etc., people want to hear the story and experience being part of a community, buying from a great company, with a fantastic brand, and belonging to the culture that comes from owning it. The presentation case designed for Phonak is tangible and a great way to demonstrate a living brand that engenders a vibrant community of previously impaired people whose lives have been changed, all thanks to Phonaks unique hearing pieces, “Life is on”. Do you have difficulty in making yourself heard?